Your Keys are locked in Your Car – Help! Unfortunately, you have just locked your car doors when you realize that your car keys are still inside the vehicle! It’s very easy to lock your keys in your car, so stop beating yourself up for your carelessness – it won’t help you gain access to your car’s interior to recover the keys locked in your car. Your first response might be to try to unlock your car door yourself, but you may well end up damaging your car doors, windows, locks or paint. You need an automotive locksmith professional from American Local Locksmith to solve the dilemma of your keys being locked in your car and to enable you to get back on the road. A trained locksmith will arrive in a mobile locksmith workshop to quickly assist you wherever you are stuck and will know how to get your car door open and retrieve the keys locked in your car without damage to your vehicle. We at American Local Locksmith have a choice of specialized tools and know the best procedure to cope with your particular make of car and its unique locking system. Here are some tools and methods a trained locksmith may use to rescue the keys locked in your car. To recover keys locked in a car, it’s necessary for the locksmith to gain access to the car’s locking mechanism from outside the vehicle. To accomplish this, a gap needs to be created between a door or window and the interior of the car to enable a tool to be inserted to release the lock. The locksmith’s toolkit will include several kinds of simple wedges made from plastic, vinyl or metal, and inflatable air wedges. Sometimes, a small, thin wedge is used first to create sufficient space to insert a larger one. Once a large enough space has been made, a long-reach tool can be used to unlock the door and recover the keys locked in the car. After creating a wide enough gap, the locksmith will insert a long-reach tool to press buttons manually or pull open lock tabs to unlock the door and retrieve the keys locked in the car. On older vehicles, tools called Slim Jims, designed for various makes of cars, may be used. A Slim Jim is the name of a long, skinny metal strip that is inserted between the weather-stripping and the window to grab hold of the lock rod. Newer car models tend to have built-in defense systems against misuse of Slim Jims by thieves and are not always appropriate for use on modern delicate lock systems. Other tools are long, slender steel rods, either solid or bendable. 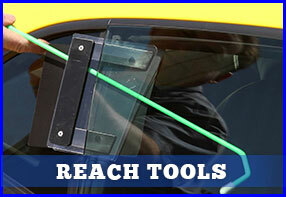 To cope with any situation, some reach tools have ends that are angled to help the locksmith maneuver around corners and other difficult spaces. Other devices come with a loop pull or lasso to grab lock rods or handles. A thin sleeve will be placed between the tool and the body of the car to protect against damage to the paintwork or glass. It’s not always necessary to manipulate a car’s doors or windows. Professional automotive locksmiths can use lock picks designed for various makes of domestic and foreign car models. A specialized torsion wrench is used to provide tension to the lock cylinder to make it easier for the locksmith to pick the lock. Once the lock has been successfully picked, the keys locked in the car can be successfully handed to you, the grateful driver. 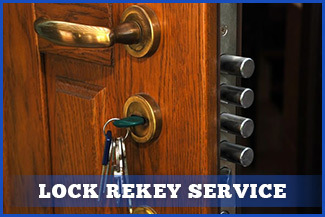 Keys locked in cars is a common problem, but help is just a phone call away from a specialized automotive mobile locksmith service. An expert automotive locksmith at American Local Locksmith is available 24/7 to provide fast, efficient service.